A young man, who is extremely attached to his mother, decides to honour her wishes and gets married to a girl she approves of. However, he is unable to forget the girl he loved. 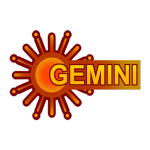 Gemini TV is a Telugu TV channel that was launched in 1996. Part of the Sun TV Network, the channel is famous for the wide range of programming it provides to its viewers, including drama series, movies, news programming, documentary, and game shows. It also broadcasts live shows and special events. The network is famous for creating high quality drama serials, with some of the most popular being Pavitra Prema, and jabilamma, the latter of which is a remake of Tamil Serial Deivamagal. Swargam, Madhubala, Pratibimbam, Sravana Sameeralu, Akashmanta, and Gruhalakshmi are also among the station''s most-watch programs. Gemini TV also has a number of sister stations, all of which specialize in a different genre. These include Gemini Music, Gemini Movies, Gemini Action, Gemini Life, Gemini Comedy, and Gemini News.